Seagull Scientific’s Bartender label software has been awarded the prestigious Gold Award as the Best Professional Barcode Software from TopTenREVIEWS. TopTenREVIEWS is a prominent web site dedicated to independent product reviews and delivered its endorsement after installing 10 competing barcode software packages and analyzing 43 different features and capabilities. BarTender is available in four flavors to suite any business need: Basic, Professional, Automation and Enterprise Automation. The variety of editions makes BarTender well suited to a wide range of applications, from small, stand-alone printing environments at SMBs to large, automated printing infrastructures at the largest enterprises. You can find the full review at http://barcode-software-professional-review.toptenreviews.com/bartender-review.html. The side-by-side comparison with the other products is available at http://barcode-software-professional-review.toptenreviews.com/. 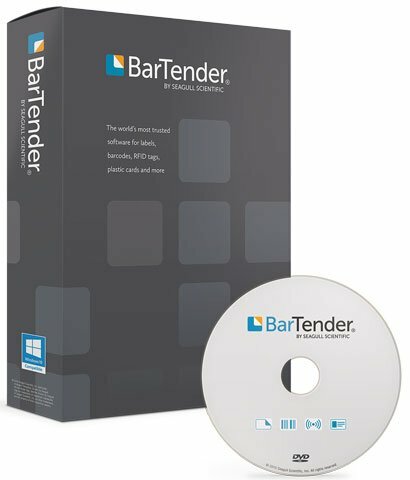 To learn more about Bartender and which version is best for your needs, contact us at BarcodeInc.